Some people are intrinsically motivated and have little difficulty pushing forward with difficult work—regardless of whether or not they get recognition. But not everyone.Many people can’t stand being underappreciated when putting in hours of hard work. Feeling underappreciated at work? If you want to turn that around and get more of the praise and acknowledgment you deserve, the one thing you can’t afford to do is let your performance slip. Maybe you need to feel success, validation, encouragement regularly in order to keep pushing forward. If so, it can be difficult to stay motivated at work when you feel underappreciated. If you were to take two people and give one of them a $1,000 bonus for their hard work and another a five-minute talk on how much you appreciate their hard work and what they mean to the company, which individual do you think would walk away feeling more motivated to succeed? Contrary to popular belief, it’s not the one with the monetary reward. In almost every case, the person who is verbally told that they’re appreciated is going to be more motivated. This example speaks to dangers of having employees that feel underappreciated. The human need for appreciation and the power of making people feel valued in the workplace. The problem is that many employees don’t feel appreciated by their employers in today’s business culture. As a result, motivation and productivity often lack. This creates a dangerous loop where a lack of appreciation leads to a lack of work and creates friction in the workplace. It’s not just that a lack of appreciation impacts output, though — it actually causes physical harm in the form of stress and anxiety. According to a well-known study, employees who feel unfairly criticized by their bosses have a 30 percent higher rate of coronary disease than those who feel appreciated. Next, you have to take a look at the concept of negativity bias. This bias, which is intrinsically built into the human brain, says that negative experiences are more easily remembered/perceived than positive ones. Negative stimuli cause the brain’s alarm bells to scream, whereas positive stimuli merely cause temporary satisfaction. 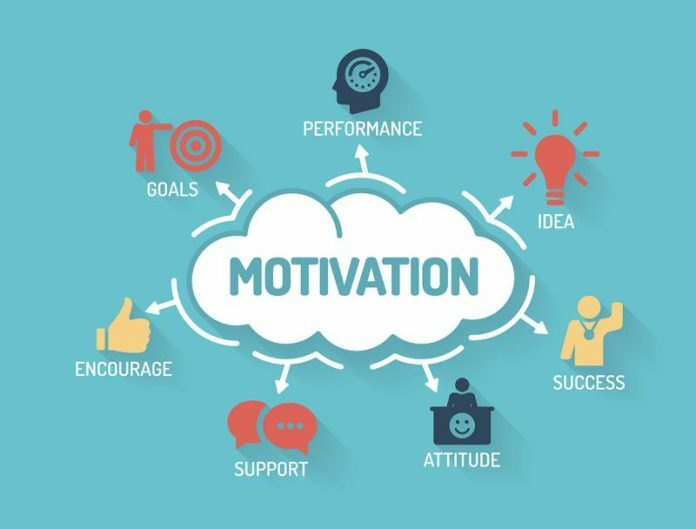 When you couple the need for feeling appreciated with our innate proclivity towards negativity bias, it’s easy to see why so many people struggle to be motivated at work. It’s a serious problem that businesses–on an individual and collective basis–need to work through. According to a Gallup Poll of American workers, 65 percent of people report feeling a lack of appreciation at work. And that feeling leads to negativity, low morale, and decreased productivity. So, if you feel underappreciated, at least you aren’t alone. But with that being said, here are some practical things you can do to avoid wallowing in despair and stay motivated. We’ve all had those days where nothing seems to go our way. The printer jams right before a big meeting. A client won’t call you back. You spill coffee on your white shirt. Your boss recognizes someone else for something you actually did. The wonderful thing about being human is that you have the capacity to set your own goals and find joy in accomplishing them. In fact, you can foster self-appreciation. Since you don’t get a ton of positive feedback from your superiors, you may have to set your own goals and track your progress. When you do this, you’re able to create internal motivation. While this can’t fully replace positive encouragement from superiors, it serves as a small consolation to keep you going during desolate times. Sometimes the best source of motivation comes from outside the office. Specifically, there’s a lot to be gained from working out in the morning before you go to work. Whether it’s a CrossFit session at a nearby gym or a jog around the neighborhood, doing some physical activity will help you feel better about who you are, which only reinforces mental fortitude. A lot of people feel underappreciated and lack motivation because they fail to see the significance of their work. While it’s ultimately up to your boss to convey this significance, you may have to do your own reflection if you aren’t getting any support in this area. At first, you may think a certain task is useless, but dig deep. You aren’t just making a sales call. You’re making a sales call in order to sell a product that will provide value for someone else’s business. Should they purchase the product, it’ll help them grow their business and support their family. It’ll also add to your company’s bottom line, which will lead to growth and new opportunities for you and your co-workers. Sometimes the fact that you feel underappreciated goes totally unnoticed by your boss. They may be so busy that they don’t realize you’re feeling this way. If you suspect this may be the case, don’t be afraid to speak up. You don’t want to come across as a whiny child, so be strategic in how you approach the conversation. Explain that you sometimes feel you aren’t living up to expectations and discuss some ways in which you can be motivated to continue being successful. If nothing else, this lets your boss know where you stand. As you can see, there are plenty of ways to encourage motivation, despite an overwhelming lack of appreciation in your current job. The key is to foster self-confidence, even when nobody else is giving you the encouragement you crave. It’s also important that you do your part of building a workplace culture that prioritizes appreciation. Even if you aren’t in a managerial or leadership role, you can still do small things that make people feel valued. People like to feel needed. When asking someone for help, make sure you explain that you specifically sought them out because you know they’re good at creative design (or whatever the case may be). If you’re working on a big project with a team of people, consider bringing in coffee, snacks, or lunch one day. A physical token of gratitude for hard work will lead to an instant boost in motivation. Pay attention to the details. If you ask someone to send you some information on a specific client and they do so immediately upon returning to their office, thank them for being so speedy with the response. These little things rarely get noticed by others. By making your co-workers feel appreciated in small ways, you can do your part of creating a new culture. You’ll notice that acts of appreciation become contagious. Before you know it, an entirely new culture could emerge, with motivation and happiness on the horizon.